Sometimes we need help with funds to run our groups, contests, or to help maintain our membership. One way of collecting these funds is through creating a fundraising activity. 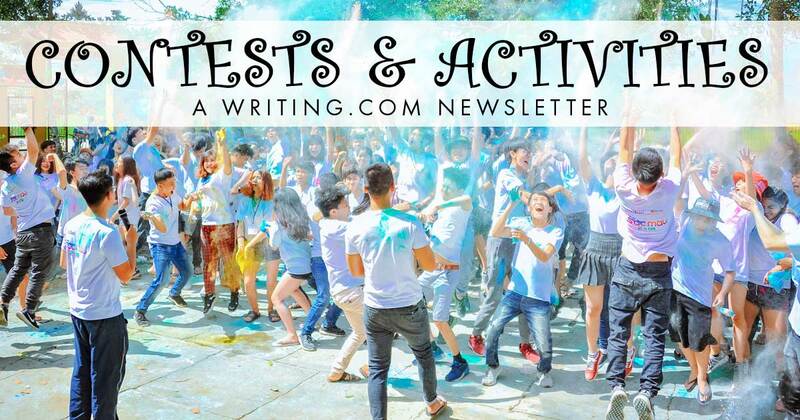 This newsletter addresses some ways of making those activities a success. Whether you are in need of funds for a contest or group you are running, or your membership, there are a variety of fun ways you can earn those funds. Many members will create auctions and/or raffles, while others create interactive games, where members purchase items in order to play. No matter what method you choose, there are ways you can attract more people to your activity. Make your fundraising activity fun by making it themed. For example, we have a member who creates a carnival-themed raffle, where you have an option to buy rides and yummy carnival treats. Just like any story or poem you write, the title should grab the members attention, but match the theme of the fundraising activity. Rather than giving your activity a generic name, like My Raffle, give it a catchy name. Some of the most entertaining fundraisers I've seen have encouraged members to interact with each other, whether as part of a competitive game or through encouraging members to be active participants in some other way. Besides just your own group or contest, raise a percentage of the funds for another group that many are active in. This not only helps to support your fellow members, but it also might attract more to your activity. Another idea I've seen in raffles is members allowing the winner to choose which group a percentage of the funds will go to. Life happens and sometimes we get behind. Most understand this. Although if you are running a fundraiser where you offer the purchase of review packages, ribbons, or badges, at least send a Cnote to the recipient letting them know what they will eventually be getting, especially if it has been gifted anonymously. Often times these are purchased by a secret pal, who has opted to gift someone for only a month. If the gifted isn't notified, then they are likely to think they are being ignored by their secret pal. If you send a c-note notifying them of their gift, then at least if it is gifted after the month is over, they know it is because you are behind and that they were not ignored. If you are prompt in sending the gift, then forward the email notification of the gift to the gifter, so that they know it is sent. If it is a raffle ticket bought, the easiest way to notify both parties is to make a post in your forum notifying the giftee that they have received raffle tickets from a secret pal. Most members remember their experiences with a fundraiser. If they know that their giftee was never notified, it is likely when you run the fundraiser again, they will not participate. Not everyone has an interest in the same type of packages or has the same amount of spendable gift points. Some people are more attracted to review packages, while others have more interest in those shiny ribbons and badges. Also, offering some lower priced items and smaller packages for those who have fewer funds will encourage more to participate. I've even seen members offer a discount to new members. What are some of your favorite fundraisers on WdC? What quality does it have that makes it successful? What advice would you add to this list? A place to purchase reviews, merit badges, and awardicons. We also sell yummy chocolate. Generated in 0.76 seconds at 6:24am on Apr 25, 2019 via server WWW1.